Boutique gold jewelery is often used to indicate that the gold jewelery, such as gold rings, bracelets, pendants and so forth is of a customised individual high quality and not mass produced and therefore should be gold jewelery you should buy. This may not always be the case of course and one has to do some due diligence when you see the word bandied around on websites. Often it can simply be a marketing ploy to sell mass market gold rings or bracelets that are not particularly boutique at all. One of the ways to find out is to check a particular piece of gold jewelery and see if the same piece of jewelery is on offer at various other websites and in jewellers. Another is to see out the manufacturer. Find out who made it. If it was manufactured in Asia then it is likely mass produced and, again, not particularly 'boutique' at all. The price can be an indicator also. Is there a discount? Is the price being offered as a "sale" price and with some incentives to buy. It is worth while also checking the quality of the gold jewelery itself. What karat is the gold? 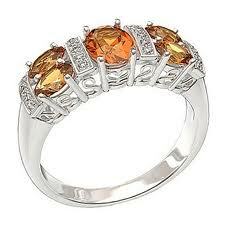 What about the diamonds and or other gemstones that might be included, such as in a gold engagement ring, for example. What quality is being offered. If a diamond, you need to know the 4 Cs, cut, color, clarity and carat weight. A boutique gold diamond ring, or any boutique gold jewelery for that matter, should be a first class product and not cheap! Checking some of the more famous jewelery houses, such as Tiffany's for example you will be less likely to get mass produced boutique gold jewelery, than if you go to one of the jewelery chain stores. The guarantee offered should also be an indicator. As well as the insurance recommended for the product. Getting an insurance assessment is a prudent idea. Of course there are some wonderful boutique gold jewelery items available out there and one can even get custom made pieces that will be unique and not available elsewhere. Buying antique gold jewelery from auctions can also be a smart move as, with the older pieces, there is less likelihood of it being mass produced and more likely it was made by a master jewelery or craftsman. Whatever you do, provided you apply some of the good old common sense, you can definitely find some wonderful boutique gold jewelery that can thrill your heart!